Maps are not only navigator’s tools intended to help people get from A to B quicker and more efficiently; they are also a highly collectible item. This is especially true for historically significant antique maps drawn at least 100 years ago. Moreover, such maps are rightfully considered works of art, which makes them even more valuable. 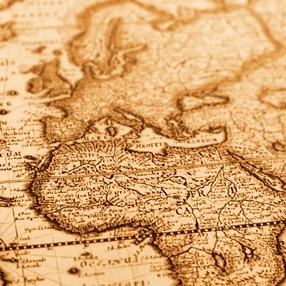 Thereby, it is no wonder that when it comes to shipping antique maps, people want to ensure that they arrive at the destination in pristine condition. Since antique maps are extremely fragile and require special handling during the entire process of transportation, the best you can do is hire a trustworthy fine art shipping company providing artwork transport services to museums, galleries, and auction houses. After all, only an experienced team of movers proficient in shipping antique items of any kind can guarantee that your precious collection is delivered safe and sound. Besides, art shippers also offer professional packing services and use only the highest quality materials designed to protect works of art in transit. However, in case you are going to pack your treasures yourself, the following tips and recommendations for shipping antique maps will come in handy. When shipping antique maps of larger size, using special shipping tubes is an option chosen by many collectors. Place your map on a smooth, acid-free paper and then roll it but not too tightly. Take a shipping tube of the appropriate size and place the rolled map inside it, with some bubble wrap at its both ends. Finally, place the caps and tape them down securely. Shipping antique maps framed with glass requires additional protection. First of all, you need to tape the glass with special blue tape and place corner protectors to protect the frame. After that, wrap your map with bubble wrap and place it inside a sturdy cardboard box. Fill in the gaps with cushioning material and properly seal the box. If you need to ship a small antique map, you can pack it flat, inserting between two pieces of corrugated cardboard. Use bubble wrap for more protection. It is needless to say that the wrapping should be placed in a high-quality shipping box with cushioning material inside. Keep in mind that the above tips cannot be applied to museum-quality and highly valuable maps. In such a case, shipping antique maps requires professional packing with special materials. If you need any help or more information, please do not hesitate to contact Fine Art Shippers. We are here to solve all your shipping problems!